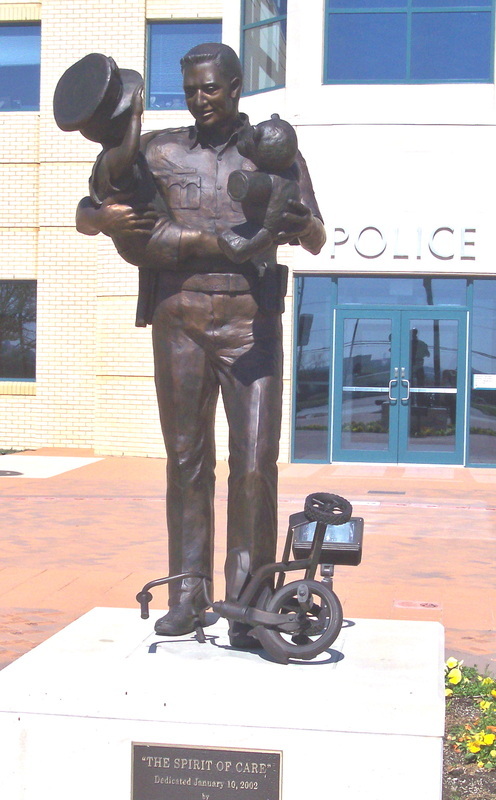 This bronze sculpture stands at the entrance to a Police Department. The universal theme is of a police officer comforting a child. The little boy depicted in the sculpture fell from a tricycle, an integral part of the sculpture. But a teddy bear given to him by the officer for comfort, is his new friend.